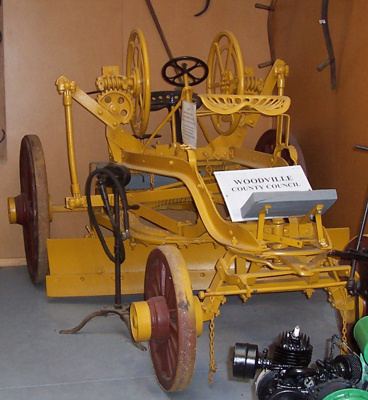 The Austin Horse Drawn Grader was imported from Canada by the Woodville County Council in 1903 and was later adapted to be towed by a motor lorry. The grader was in use into the 1940s after which it was consigned to a Council shed in Papatawa. It was on display at the Woodville Centenary in 1975 and following the centennial parade it was left at the museum.